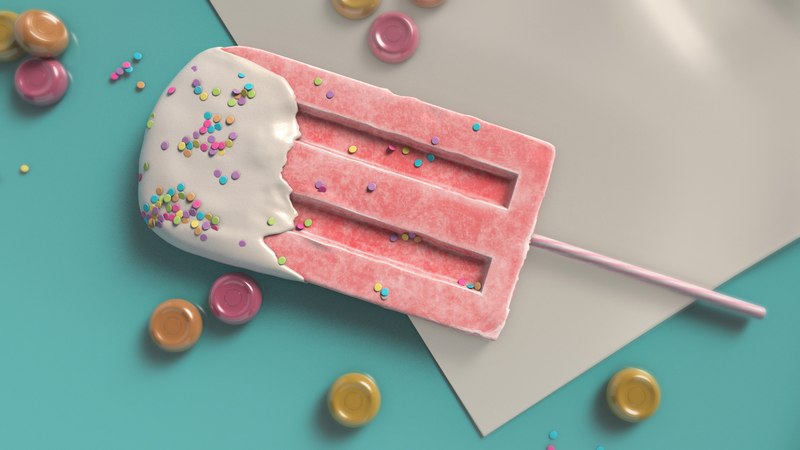 Popsicle in syrup with sprinkles! Modeled in Maya and Zbrush. Textured in Substance painter using ID maps. Plate, wax paper and round candies textured in Maya. 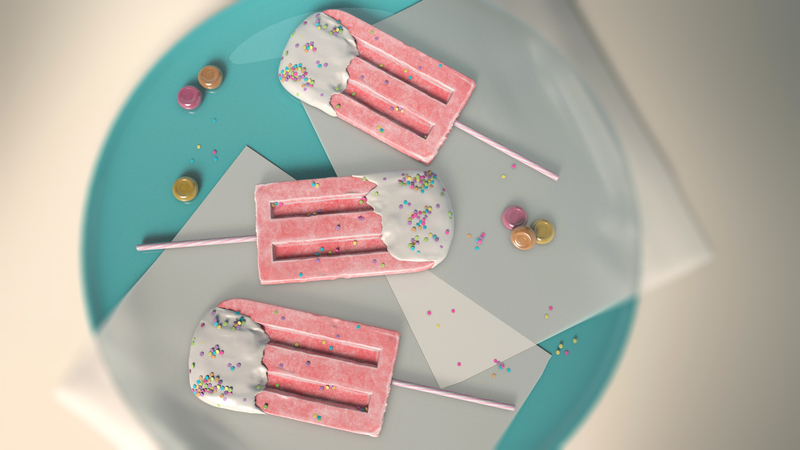 Rendered in Arnold.